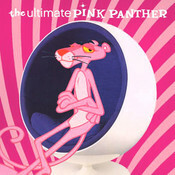 The image of Inspector Clouseau immediately springs to mind the moment you hear the first notes of The Pink Panther. This well-loved theme tune from The Pink Panther series was composed by the American composer, conductor and arranger, Henry Mancini. 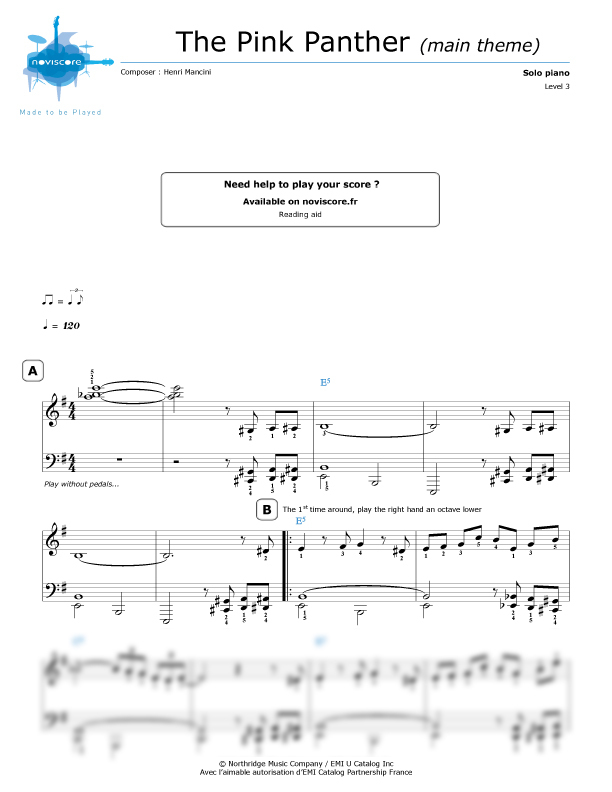 Start playing it now and choose the piano sheet music that's best for your level of piano playing from our various adaptations for piano solo. 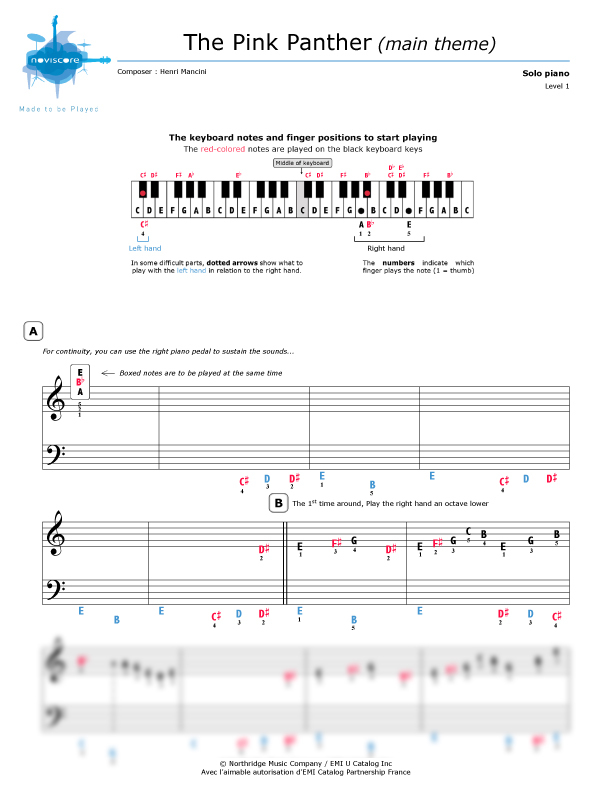 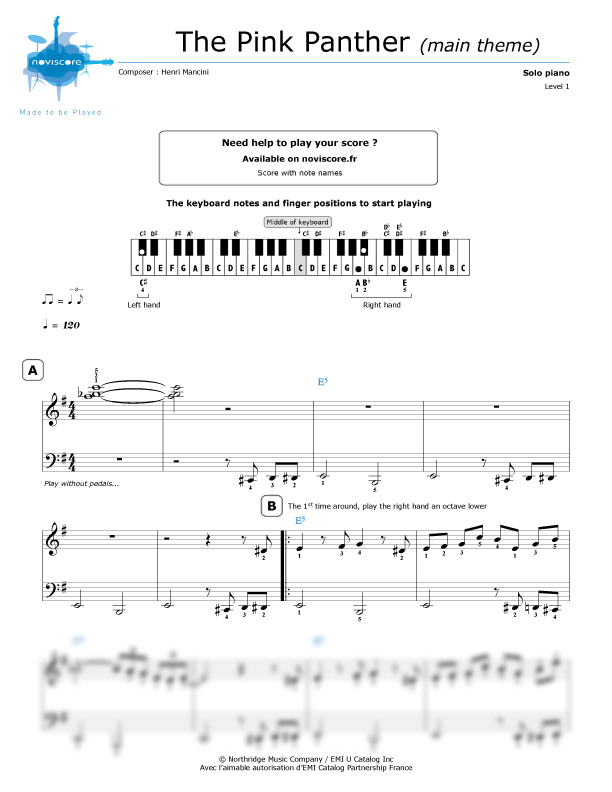 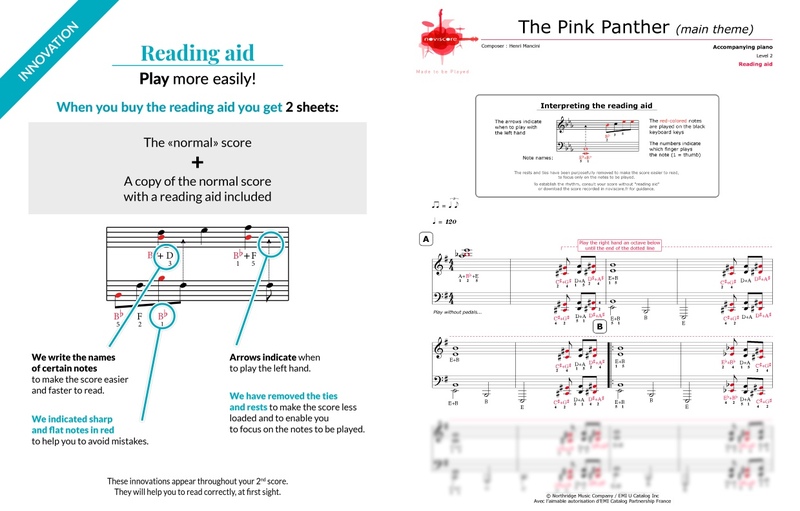 Our three different levels are available with or without reading aids and if you are just starting to learn the piano, you might want to try our easy piano music Level 1 with note names instead of symbols. 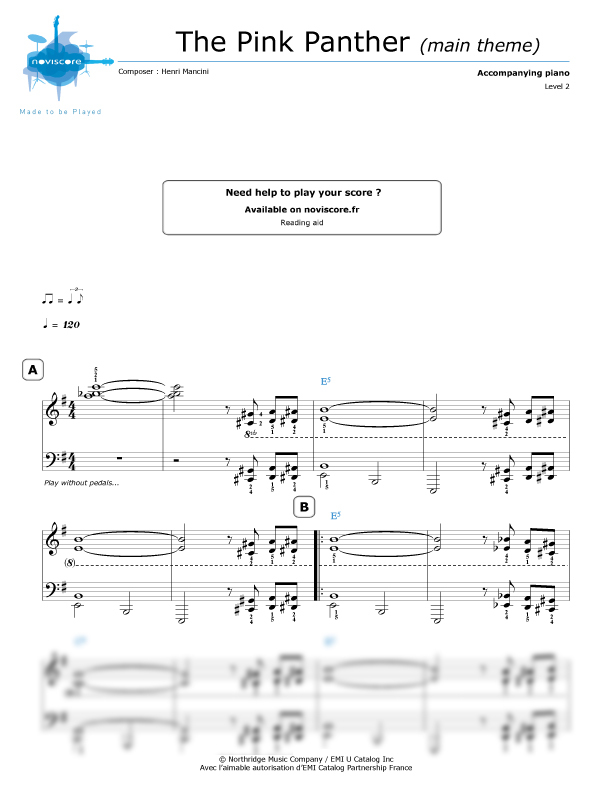 Or if you'd like to accompany another instrument, try our piano accompaniment version. 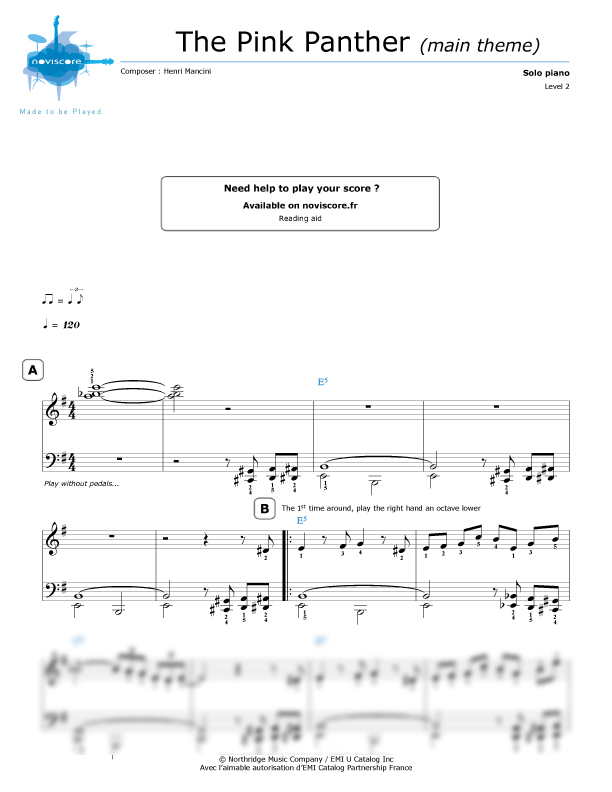 Everyone can enjoy playing this cult jazz theme whatever your standard of playing. 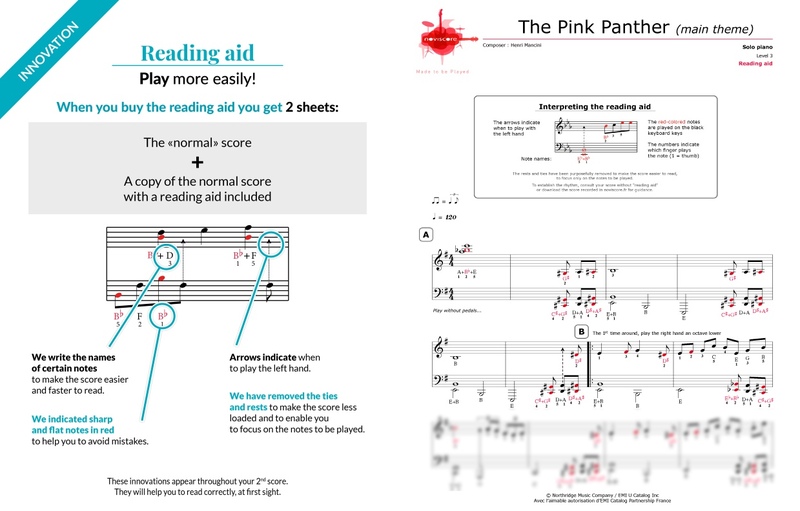 Select your music, print out your music sheets from your home and start playing!